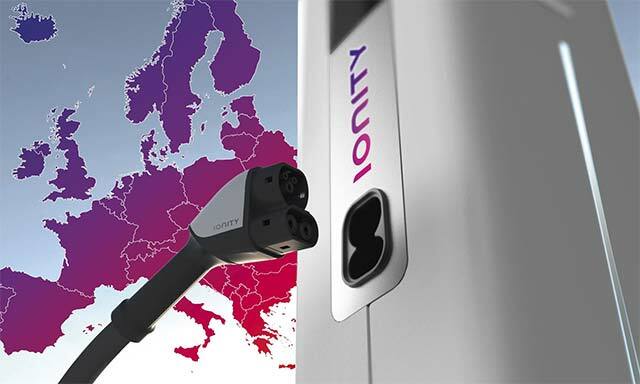 BMW Group, Daimler AG, Ford Motor Company and the Volkswagen Group with Audi and Porsche today announced joint venture IONITY that will develop and implement a High-Power Charging (HPC) network for electric vehicles across Europe. Launching approximately 400 HPC stations by 2020, IONITY will make long-distance journeys easier and marks an important step for electric vehicles. Based in Munich, Germany, the joint venture is led by Chief Executive Officer Michael Hajesch and Chief Operating Officer Marcus Groll, with a growing team, set to number 50 by the start of 2018. “The first pan-European HPC network plays an essential role in establishing a market for electric vehicles. IONITY will deliver our common goal of providing customers with fast EV charging and digital payment capability, to facilitate long-distance travel,” said Hajesch. A total of 20 stations will be opened to the public this year, located on major roads in Germany, Norway and Austria, at intervals of 120 km, through partnerships with “Tank & Rast”, “Circle K” and “OMV”. Through 2018, the network will expand to more than 100 stations, each one enabling multiple customers, driving different manufacturer cars, to charge their vehicles simultaneously.